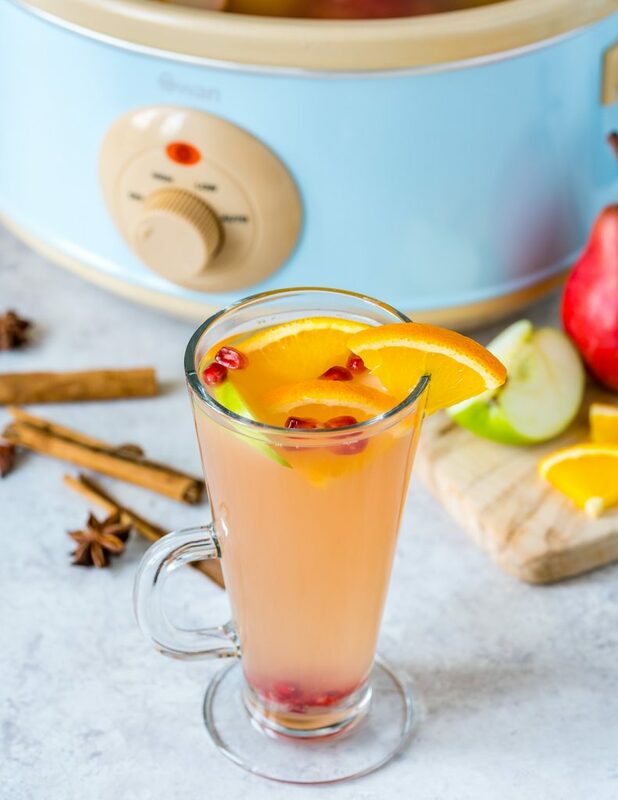 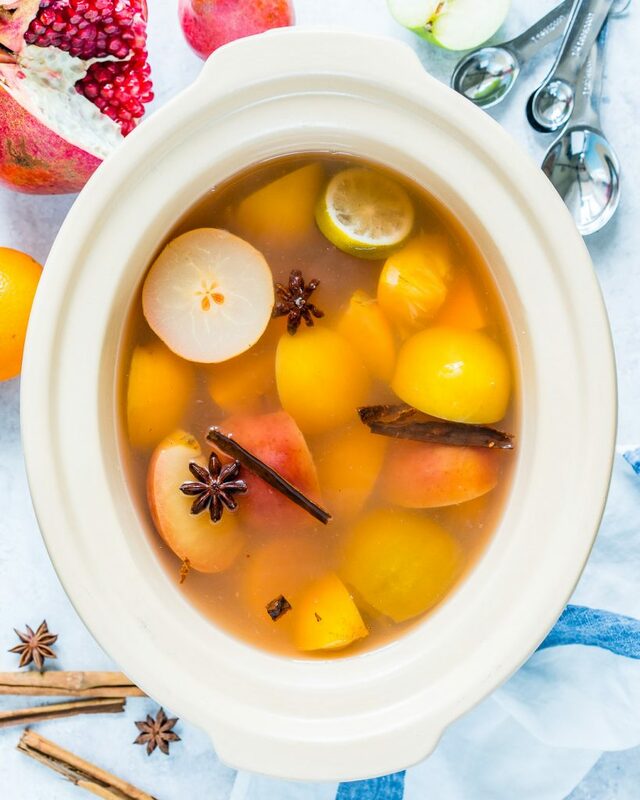 Crock-pot Homemade Cider is Warm Autumn Comfort in a Cup! 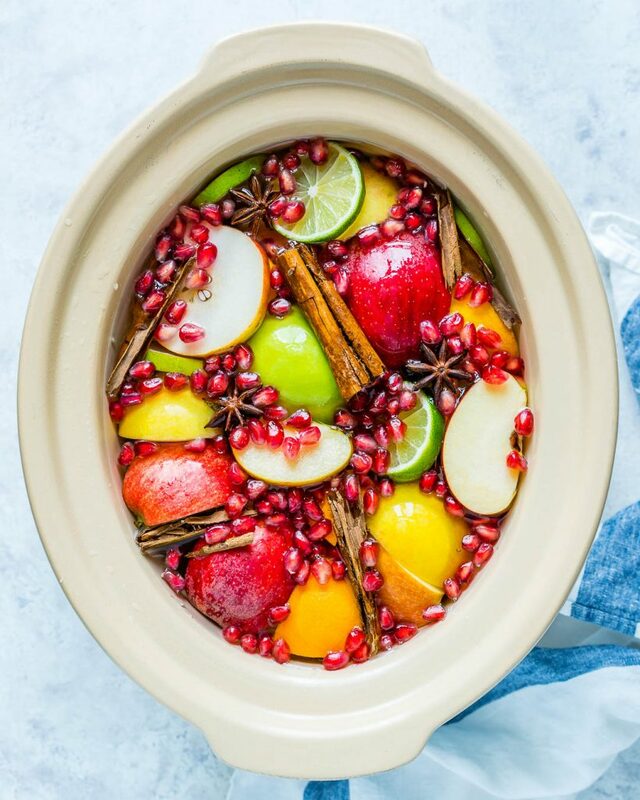 Combine all ingredients in the bowl of your slow cooker. 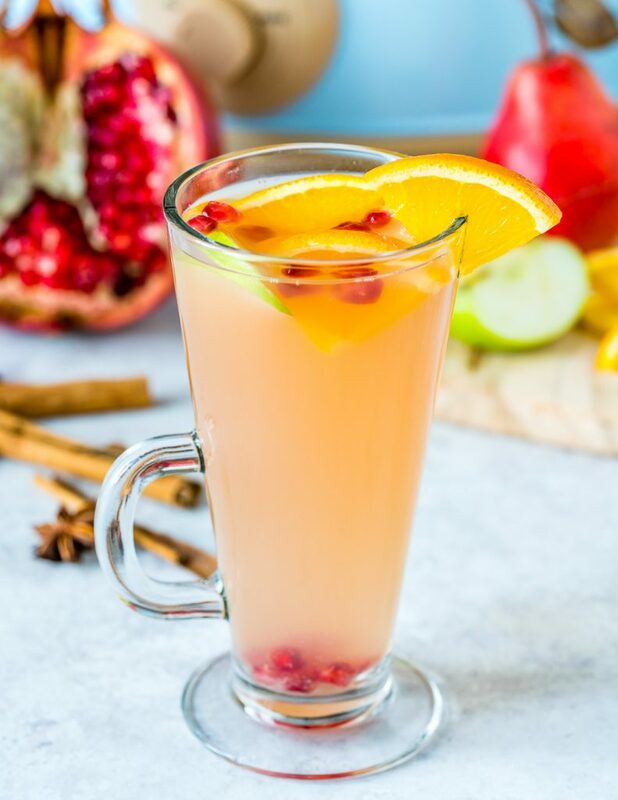 Once cooked, pour the liquid through a fine strainer to remove spices and fruit pieces. 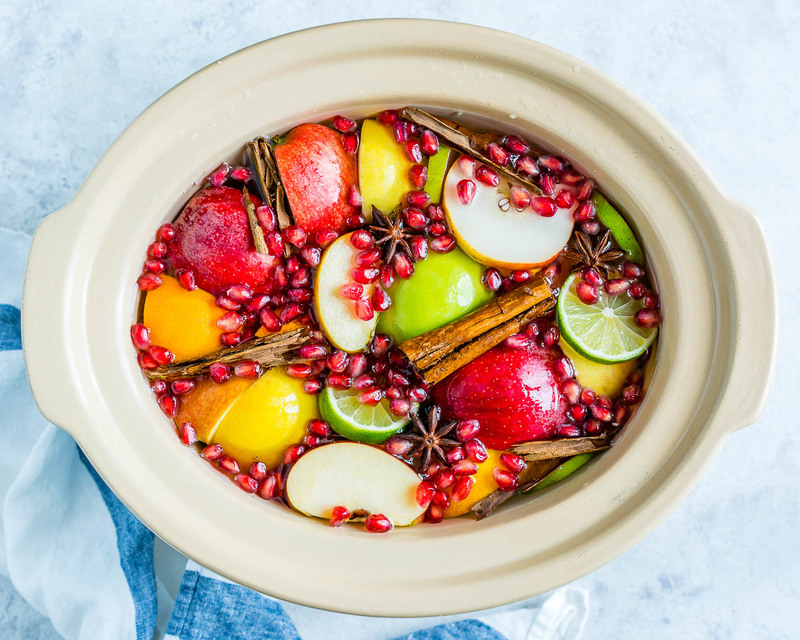 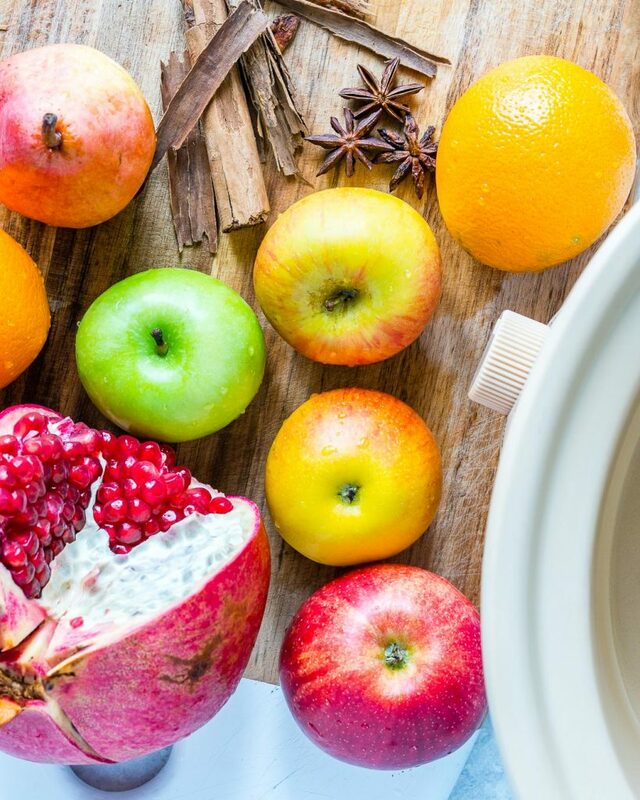 Garnish with fresh fruit (like orange and apple slices and pomegranate seeds) and serve warm.